American Red Cross to Transition Brookfield High School at 11 p.m.; Respite Center to Open at Brookfield YMCA at 8 a.m. The American Red Cross shelter located at Brookfield High School will close at 11 p.m. today, May 18, 2018. A respite center will open at 8 a.m. tomorrow, May 19, 2018 at the Brookfield YMCA. At the respite center, showers, snacks, water and charging outlets will be made available to individuals and families needing support. The Brookfield YMCA is located at 2 Huckleberry Hill Road, Brookfield and will be open from 8 a.m. – 5 p.m. The Red Cross continues working closely with emergency management and government officials in the impacted areas. The Red Cross has been out in impacted towns across the state to provide snacks, water, damage assessment and support. The Red Cross is also providing assistance to residents whose homes have sustained significant structural damage. If you are in need of Red Cross assistance, please call 1-877-287-3327. 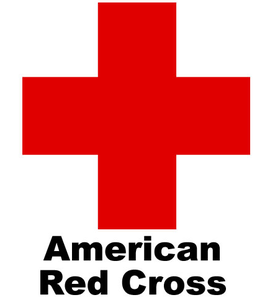 All Red Cross assistance is provided free of charge and made possible by the generosity of the public. To donate to Red Cross Disaster Relief and help people affected by disasters big and small, visit www.redcross.org or call 1-800-RED-CROSS. To become a Red Cross volunteer visit www.redcross.org/volunteer.